Dwight Yorke is chased by Stevie Gerrard during the 2006 World Cup Finals in Germany. 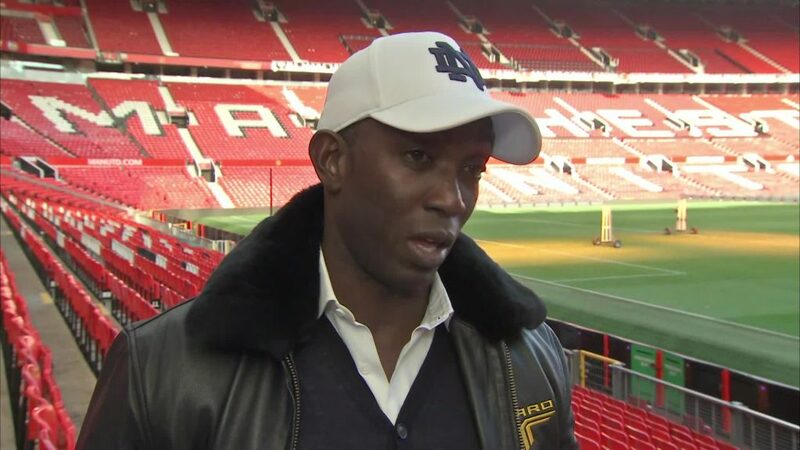 Dwight Yorke has been in Jamaica over the past few days following his extended stay in South Africa working as a television football analyst for the 2018 FIFA World Cup. The former Trinidad and Tobago and Manchester United striker said in a media conference with the Jamaica Press that there is a major decline in football in the Caribbean and believes the governing bodies must move swiftly to address this matter. The 46-year-old Yorke, who led Trinidad and Tobago to the FIFA World Cup in 2006, said a lot more needs to be done to ensure that this rapid deterioration of the game is halted. 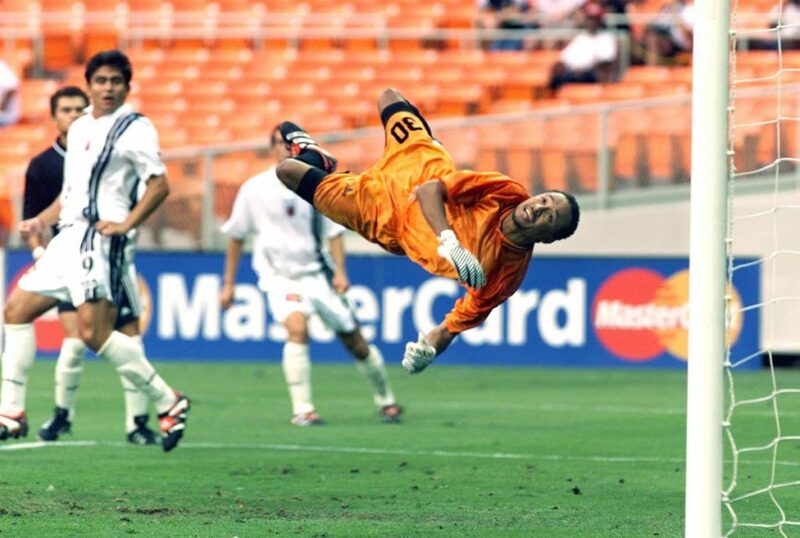 Yorke is also a member of the FIFA Development Committee. “We have declined in football at the moment and certainly in the Caribbean region. When you look at Trinidad and Tobago, which used to produce quite a lot of players in European football, there are not many (players) now,” said Yorke. “We have seen Jamaica in decline in terms of local players being able to play in the foreign areas and so that is something that we have to look at throughout the Caribbean,” he added. “I think it is just the lack of organisation in terms of the quality of football that we are producing … . 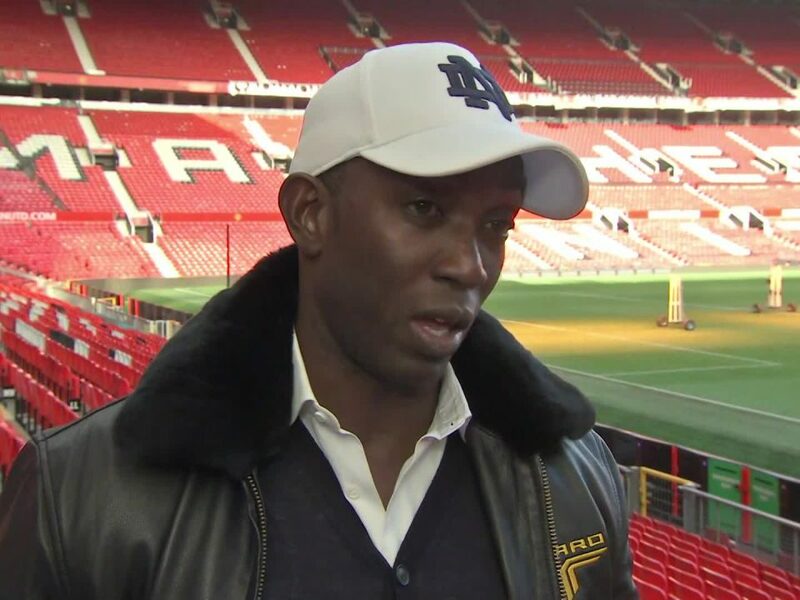 (We should) invite people to come here and have a look at the Caribbean players a lot more on a regular basis,” Yorke said. 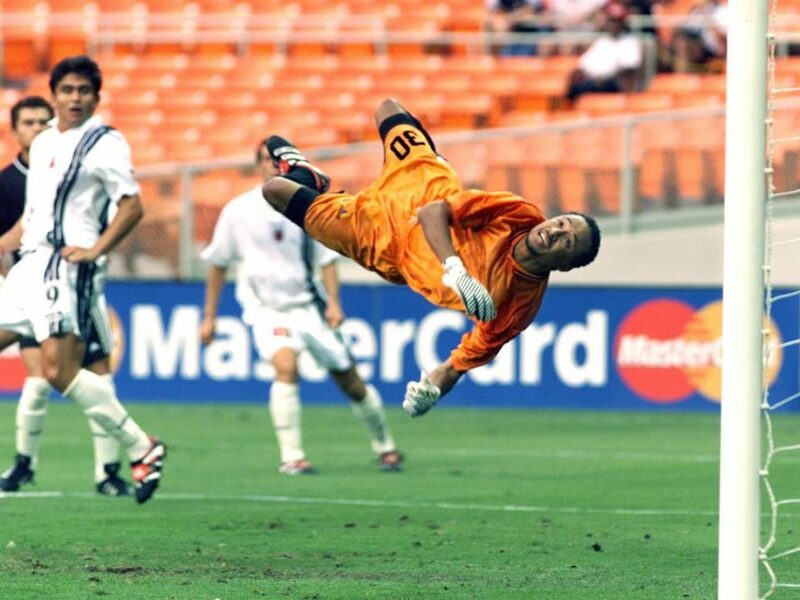 Yorke added that following the qualification of Jamaica and Trinidad and Tobago to the World Cup in 1998 and 2006, respectively, none of the teams in the Caribbean have come close to qualifying for the football spectacle. Yoke, who retired from international football in 2007, has a UEFA B coaching badge. He noted that he would love to play a part in the development of the sport in the region, but has not been approached by any of the regional bodies. “I was very privileged to play in the English Premier League for 20 years and I have that experience and knowledge to play under the great Sir Alex Ferguson, who is arguably one of the great managers,” Yorke said. “You would feel that with your achievements that somewhere along the line that you would want to contribute something back to football here in the Caribbean and in particular in Trinidad and Tobago. I would love to contribute, but it hasn’t happened yet, but I am sure that at some point it may happen,” he said. 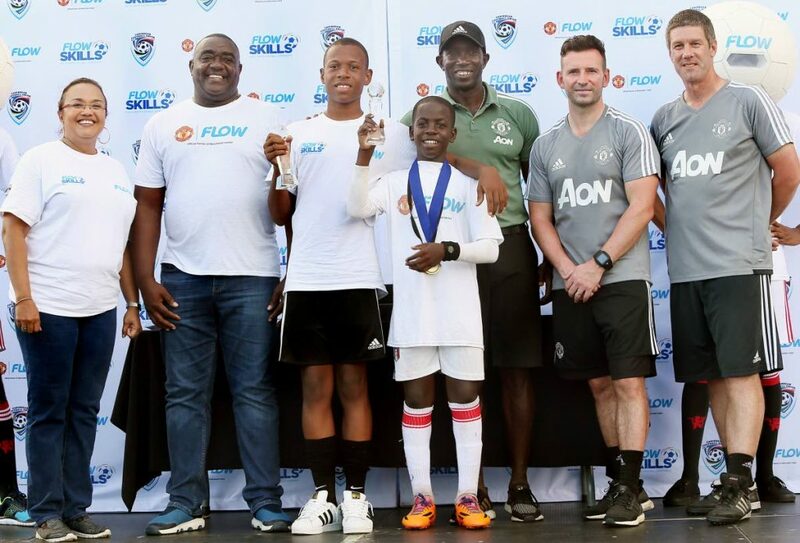 Yorke, who is an ambassador for Manchester United, was in the island as part of a promotional tour for content on FLOW Sports, which includes the upcoming English Premier League and UEFA Champions League competitions. 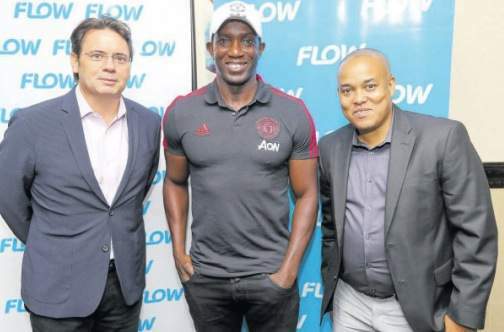 Former Manchester United striker Dwight Yorke (centre) poses with FLOW’s vice President marketing and TV Carlo Redwood (right) and Sean Riley, FLOW Sports managing director, at a luncheon at Jamaica Pegasus hotel. Photo Jamaica Observer. Carlo Redwood, vice-president of marketing at FLOW, underlined the value of Yorke’s visit. 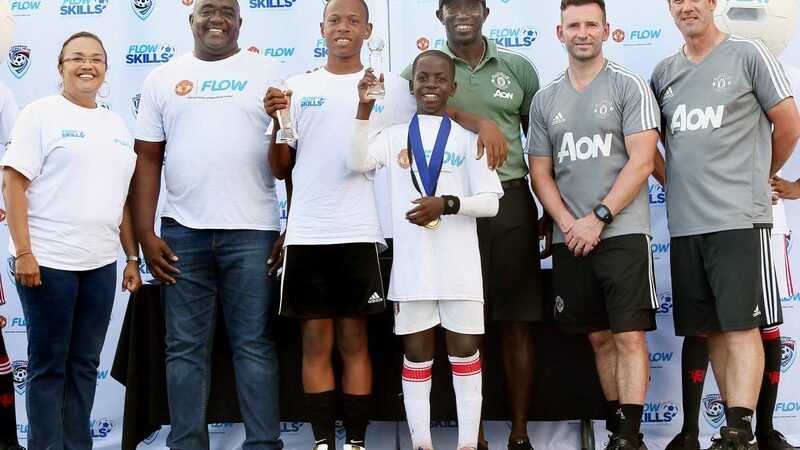 “We have had a number of legends here and this is really part of our partnership with Manchester United, bringing legends into the market to sort of help us connect with our costumers and connect with our Premier League property that is on FLOW Sports and also kind of build a programme to help the development of football in Jamaica,” said Redwood. Yorke also said he feels certain that the time is right for some fresh faces to be seen on the touchline of some of the top clubs in England. “I think I made my intentions clear… I am now 46 years of age and I felt that it’s a good time to get into management. I feel like I have got my mojo back so to speak, where football is concerned. “I feel that it’s been a football merry-go-round when you look at the Premier League, [as] it’s the same managers who are getting the sack and coming round and all that and I feel that there is a young generation bursting to get in there, let alone black managers,” said the former Aston Villa man. “It’s the best without a doubt and that’s why FLOW is logging in on that. The Premier League is everywhere. I played the sport and I never see that side until I came out of the game. Now, seeing how fans and people react to the premier league is amazing. I can’t believe it,” said Yorke. The 46-year-old scored 52 goals from 96 games for Manchester United and won three consecutive English Premier League titles between 1990 and 2001. He was also a part of team that won the UEFA Champions League in 1999 and completed the triple with victory in the FA Cup. “There is no better league. People go on about Messi and Ronaldo as the two best players and yes, they are playing in La Liga [but], it doesn’t mean their league is the best. But in reality the Premier League is where everybody wants to be,” Yorke added. The English Premier League kicks off on Friday, August 10 with Manchester United tackling Leicester City and Sean Riley, FLOW Sports‘ managing director, noted that all 380 premier league games will be aired lived on FLOW Sport channels. “We are the exclusive home of the English Premier League as we will cover all 380 matches to customers live throughout the Caribbean. It’s the first time that’s being done, to be able to have access to very single match,” said Riley. 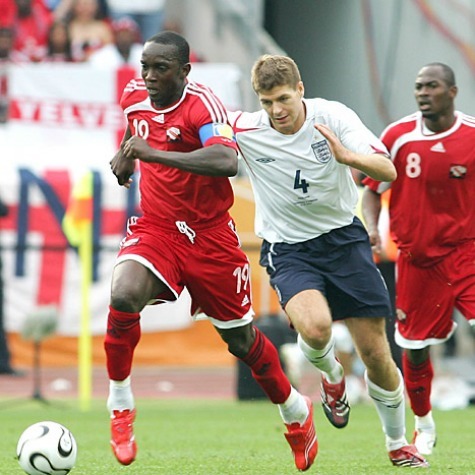 Dwight Yorke of Trinidad outpaces Stevie Gerrard of England. England defeated Trinidad & Tobago 2-0 in their FIFA World Cup group B match at Franken-Stadion, Nuremberg, Germany, June 15 2006.